Normal Service for a while. The Days Ahead: CPI, Europe economic indicators, which will show how much trade tariffs hurt. One-Minute Summary: Nearly all sectors were up except the new Communication Services, but see our explanation below. We had felt that the October sell-off was overdone. It was pricing a recession, which is not going to happen for some time. Buyers came back to the market and the election removes a very big overhang. No surprises from the Fed but short-term rates came within a whisper of 3%. There’s now only a gap of 46bps between two-year and 30-year bonds. We don’t see that changing. Oil is now officially in a bear market having fallen from $76 to $59 in a month. China remains a big concern on the trade issues and on how much the economy is slowing (see here for a very interesting read of how the middle class is economizing). 1. Did markets care about the mid-terms? Not really. Markets read polls and the outcome was pretty much as expected. Generally, markets are fine with split government. Nothing much gets done. Nice and predictable. But there were some early polls suggesting the Republicans would keep the House and the bond market, even in after-hours trading, took a sharp turn for the worse. The concern? That fiscal policy would ramp up and the already deteriorating debt position would head into even wider deficits. We’ve talked about the deficit. It's a story that’s going to be with us for a while. Start with the deficit in the fiscal year just ended. It was $780bn, up $113bn, and would have been $823bn if spending in 2017 had not been brought forward (i.e. it ended up in last year’s deficit when it really should have been in 2018). Personal and payroll taxes rose $105bn in 2018 but corporation taxes and revenues from fines matched that almost dollar for dollar, falling $99bn. Meanwhile government spending rose $173bn. So we saw the 2-Year Treasury climb to 2.98% on Tuesday night. It settled to 2.92% but it may not be too long until we see a 3% handle on the two year. Meanwhile, the Fed all but confirmed they will raise rates in December and the expected slowdown in the economy is already happening. It was 4.2% in Q2, 3.5% in Q3 and will probably come in at 2.7% for Q4. The concern on Tuesday was simply that with the economy slowing, a full-on Republican administration would add further fiscal stimulus. 2. 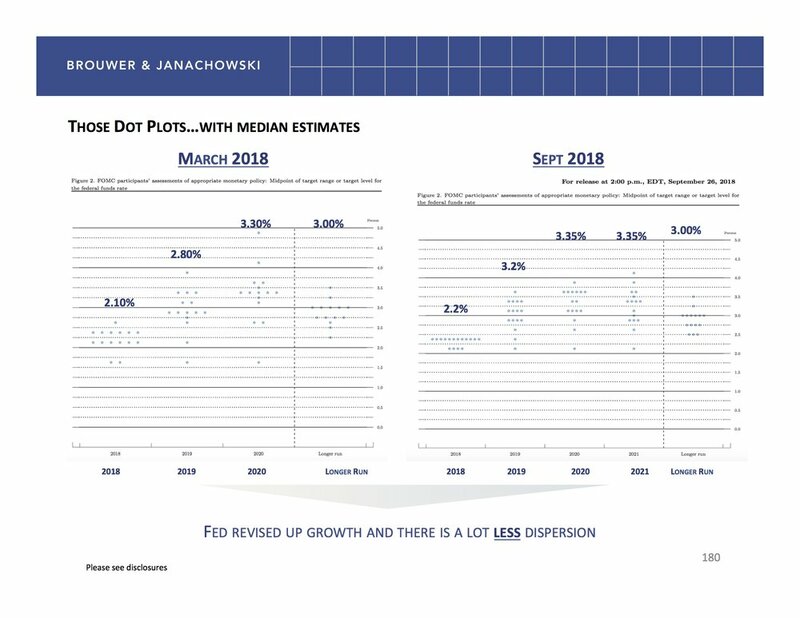 The Fed met and… didn’t really say much other than confirm the economy is growing nicely. They did point out that “Business Fixed Investment” or capital expenditure, slowed. 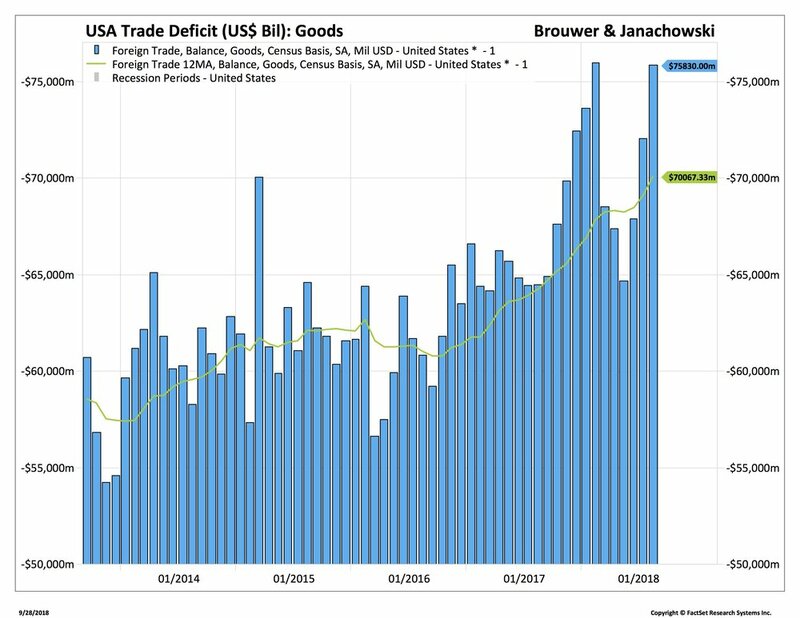 They didn’t indicate whether this was i) noise ii) concerns about trade iii) the money was better spent on buybacks or iv) lower demand. We’d go for i) and ii). To be fair, the Fed would never really talk about buybacks so that was unfair. It’s the Fed’s balance sheet and it started the year at around $4.2 trillion (the blue bars). It’s now $3.9tr. 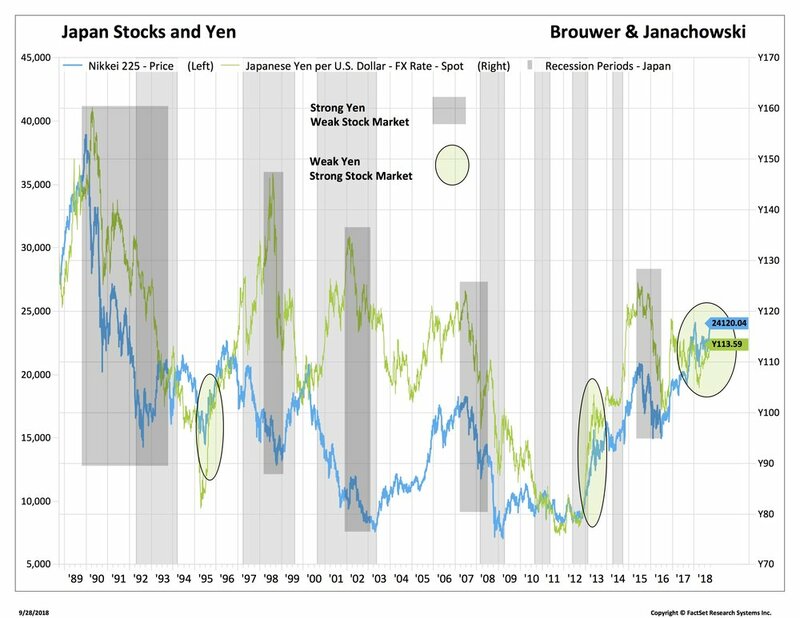 You can see how much it's down and the annualized rate of decline is in the green line. It's around 18%. This is the Fed selling the securities it bought in five years of QE. Except they don’t sell them. They let the bonds mature and do not repurchase. But unlike a regular Treasury, they don’t get their money back from the U.S. Treasury. The money just disappears in the same way it was created when they bought the Treasuries. But the U.S. Treasury still needs the money (because we’re running the deficits up there in section 1) so now they have to borrow more than they would if the Fed just held onto their bonds. Think of it as when the Fed buys bonds, they disappear. When they sell them, or don’t reinvest, they come back to the market. Here’s a very good description. Bottom line? 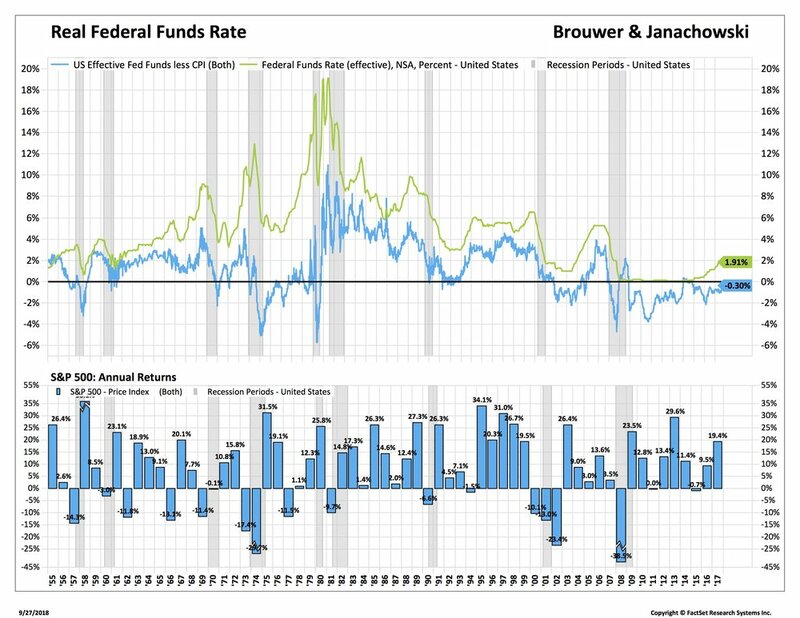 Fed monetary policy is much tighter than it appears from watching interest rates. Hence, we like the U.S. Treasury Floating Rate Note (FRNs) for the short end of the curve. Even the grand old S&P 500 index is not just the 500 largest companies listed on the stock market as S&P excludes companies they feel don’t meet their standards of probity, governance or profitability. But index providers are big and powerful these days so when they make a change to an index it can leave ETFs scrambling to keep up. The tech sector fell from about $6.8 trillion and 28% of the index down to 20%, while the newly named Telecom sector rose from $500bn to $2.3 trillion or 2% of the index to nearly 10%. There are, of course, sector ETFs that track all these and it seems that investors did not sell down their tech ETF and rebalance. That meant there were a lot of forced sellers of tech shares like Google (was tech, now Communicating Services) and Netflix (was Consumer Discretionary and also now Communication Services) but there weren’t enough buyers on the other end…indeed there were no Communication Services ETFs to take up the slack (h/t John Authers). Anyway, we think this along with the share buyback blackout, accounts for some of the recent weakness in tech. It will rebalance in time but meanwhile we must live with the distortions created by passive funds. Bottom Line: As we’ve noted before the stock market has become considerably cheaper this year. Companies have reported around a 25% increase in earnings, with another 8% at least next year, but stocks are mostly flat and the market trades at around 15x times next year’s earning. That means valuations have fallen around 20%. We would not quite count on a rerating back up to 18x but we think the rest of the year will trend up. The two big risks: China trade (who tweets first) and the pace of the economic slowdown.